Tinnitus is a condition that causes a large amount of stress and concern for those who experience it. Understandably, people who have been diagnosed with tinnitus are keen to find relief from the condition; below, we’ve sought to provide an overview of the options available, as well as advice on general good practice that may help reduce the severity of symptoms. Tinnitus is a condition that causes people to hear noises that are not actually present. It is most commonly described as “ringing in the ears,” but at Sonus Alexandria, we know it’s not rare for people to hear other noises, such as buzzing, beeping or whistling. Tinnitus can be both acute, in that it lasts for less than three months or chronic and ongoing. The severity of the condition varies; some people “hear” continual noise, others only occasionally. How many people experience tinnitus? The CDC estimates that 15 percent of Americans are living with some form of tinnitus, which is over 50 million people in total; of these, two million people are thought to experience the most severe form of the condition. Tinnitus is characterized by the sounds that people hear. The severity of the condition is usually defined by how intrusive the sounds are, considering factors such as the volume of the sounds and how frequently the person experiences them. Exposure to frequent, loud noises. Tinnitus can also occur without any known underlying cause. 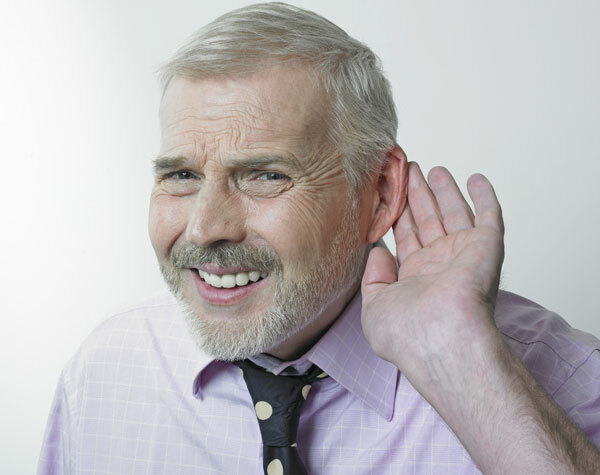 How can people with tinnitus relieve their symptoms? Treatment of the underlying condition. If tinnitus has been caused by an underlying health issue, treating this condition often causes the tinnitus to resolve. Earwax removal. For tinnitus caused by earwax build-up, removing this earwax rectifies the issue. Hearing aid masking devices. Hearing aids with tinnitus masking functionality can emit low “background noise” that effectively distracts the individual from noticing the sounds produced by the tinnitus. While this is not a cure, it is one of the best-recognized forms of treatment for chronic, age-related tinnitus occurrences. Psychological therapies. Some people who experience tinnitus choose to undergo psychological therapies, which are designed to “train” their mind not to fully hear the sounds they hear due to the tinnitus. This form of treatment can also help manage any anxiety or depression the individual experiences as a result of their condition. The one downside of these treatments is that they tend to take a long time, with between 12-18 months of continuous therapy required in order to achieve results. Is there anything else people with tinnitus can do to ease the condition? Avoid exposure to excessive noise. Loud noise tends to worsen instances of tinnitus for those who have already developed the condition, so avoiding future exposure is beneficial for overall management. Use ear protection. In situations where loud noise exposure is inevitable – for example, if attending a sporting event or live concert – then specially designed ear protection can help to prevent a worsening of the condition. Ensure ears are well cleaned at all times. For all cases of tinnitus – and especially for tinnitus cases that are related to earwax build-up – ensuring ears are kept clean at all times can be beneficial. As this is often a complex subject, we’ll explore ear cleaning in a little more depth below. What are the best practices for cleaning ears? Use earwax softener regularly, especially if you are prone to earwax build-up. You can also use olive oil drops, rather than earwax softener if you prefer. You can irrigate your ears using a large syringe; this method is particularly useful 12-24 hours after using an earwax softener. Seek medical advice if your ears feel “full” or uncomfortable. Insert any foreign object – especially cotton swabs – into the ear canal itself. The ear canal is far longer than many people imagine and it’s all too easy for foreign objects to become stuck out of reach. To find out more about the hearing-related services available at Sonus Alexandria, please do not hesitate to get in touch today at (703) 823-3336.